Starting a blog changed my life. Sounds dramatic, right? It’s true. Earlier this year, I went from working full-time as an employee to making a living online. In case you’re wondering, working from home and being your own boss is as awesome as everyone says it is. Some days I don’t even get out of my pajamas! And I could never have left my 9 to 5 if I hadn’t started blogging. But it is way better than going to work every day. Especially if you live in a cold climate like I do. It’s been amazing not having to drive in a single snow storm to get to work this year! Plus, when my daughter missed the bus at school, it was no big deal for me to pick her up. If I could sum it up in one word, it would be FREEDOM. And way back in 2015, when I learned how to start a blog on a whim, I had no idea it would get me closer to my financial goals. Making money wasn’t my primary motivation. Blogging was just some cool idea I had stumbled on and wanted to try. I decided to make my own luck. And I launched my blog with nothing more than an old laptop and a dream. Turns out it was one of the best decisions I’ve ever made. Now that I’m blogging and writing from home full-time, I’m branching out into new revenue streams. Having multiple sources of income is the best way to reach my goal of building financial independence. And it all started the day I started a blog. Maybe you hate your day job. Or are looking for a way to make more money on the side. Either way, starting a blog can help you get there. To start, you have a few options. Starting a blog on Tumblr or Blogger is free but they have restrictions about what you can do with your site. The main drawback is that you won’t have your own domain name. What does that mean? Basically, if I used Tumblr to start my blog, Tumblr would own it. My URL would look like this: earlymorningmoney.tumblr.com. It might not seem like a big deal to you right now. Down the road, it would be incredibly difficult to make money from a domain that you don’t own. Getting your own URL and using WordPress is the absolute best thing you can do for your blog. It doesn’t cost a whole lot (less than $4 a month) and it opens up tons of options to customize your home on the web. If you think blogging is only for tech-savvy millennials, you’re wrong. 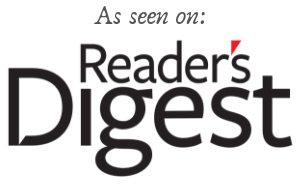 Men, women, couples, and kids of all ages and backgrounds are blogging. With just a few clicks you can have your own website to share your story, favorite recipes, and even open up opportunities for additional income (and that would be great for your budget!). Starting a blog is the best decision I’ve made. 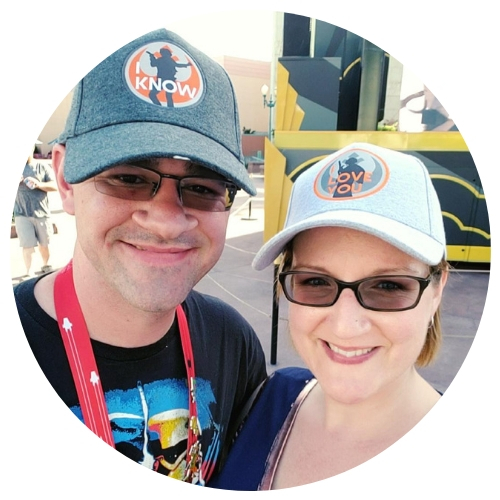 Okay, maybe that’s exaggerating a little bit – surely there are other great decisions I’ve made (like deciding to marry my super-awesome husband Andrew). But, really, having a blog has brought me so much freedom and given me the opportunity to make money working from home. But enough about me, let’s get back to YOU! 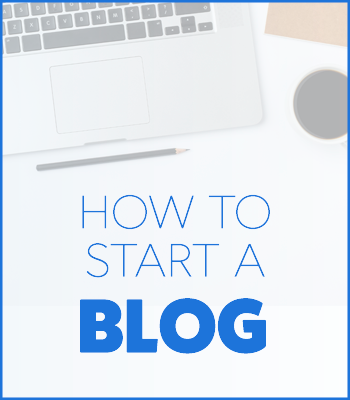 Step 1: Why Start a Blog? 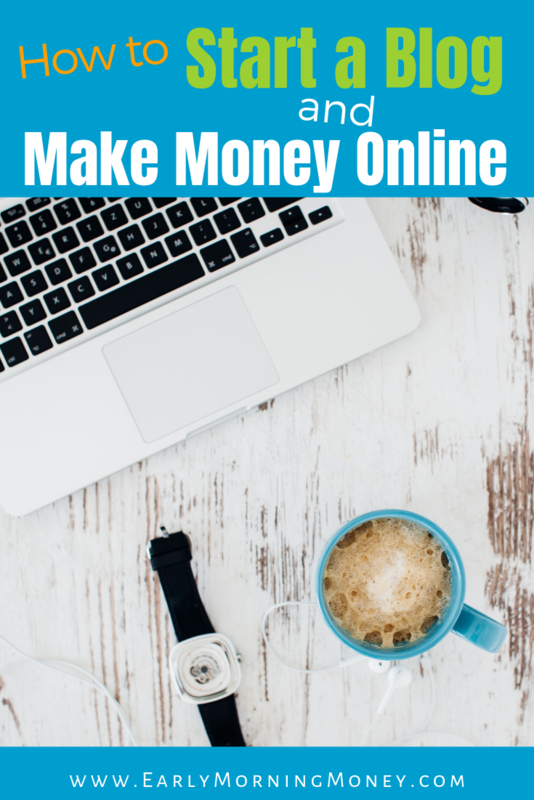 Make money while working from home. Having a blog comes with huge money-making potential. While it does take some hard work, the barrier to entry is low and the cost is minimal. It’s a very low-risk investment that can pay off big time. Share your story! Sharing your story online and having others rally behind you is great motivation to keep going, whatever your goal might be. Write a book. It’s true that publishers rarely work with authors who lack an online presence. This is basic common sense: it’s easier to sell books to people that already know and respect you. Get your name out there, share your work with others and authoring a book will come easier to you. Promote your existing business. Whether you have a direct-sale business like Mary Kay, Avon, or Jamberry, having a blog allows you to reach more customers. Think about it – you can use a blog to share information about the latest products and styles, how-to posts, and testimonials from your loyal customers to promote your business and increase your money-making potential. Just write. A blog works great as a personal journal, an collection of all your favorite recipes, to build a community, or simply share your story. Are you starting to see how you’d benefit from starting a blog? YES? Me, too! So, let’s continue. This isn’t nearly as complex as it sounds. This lets other people find your site on the internet. And, because that’s their business, these hosting companies are fast and reliable. The company I started with and recommend for beginner bloggers is Bluehost. They make it easy to set up, have quality service, and are one of the lowest-cost options. Side note: When I first started by blog, I had no idea what I was doing and I totally messed it up. The customer service team at Bluehost restored my blog and got it up and running again in no time at all. They were so fast and friendly – and they did it for FREE, which was great because, well, I need that money to get out of debt. Ready? 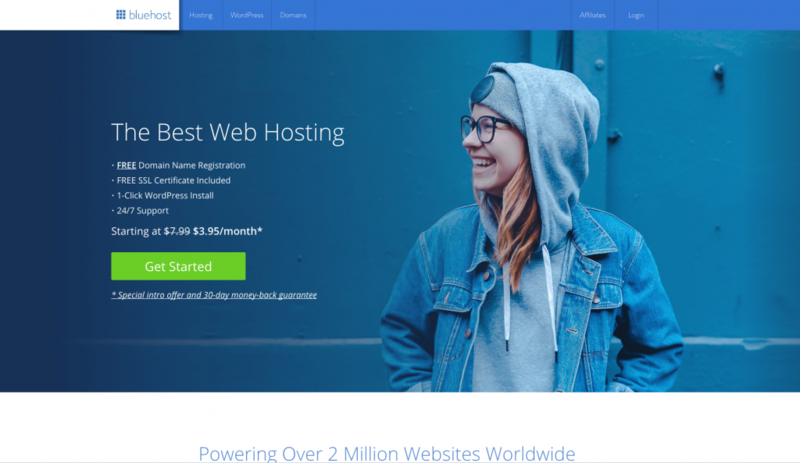 Click here to go to Bluehost. This link will open in a new window so you can continue to follow along. 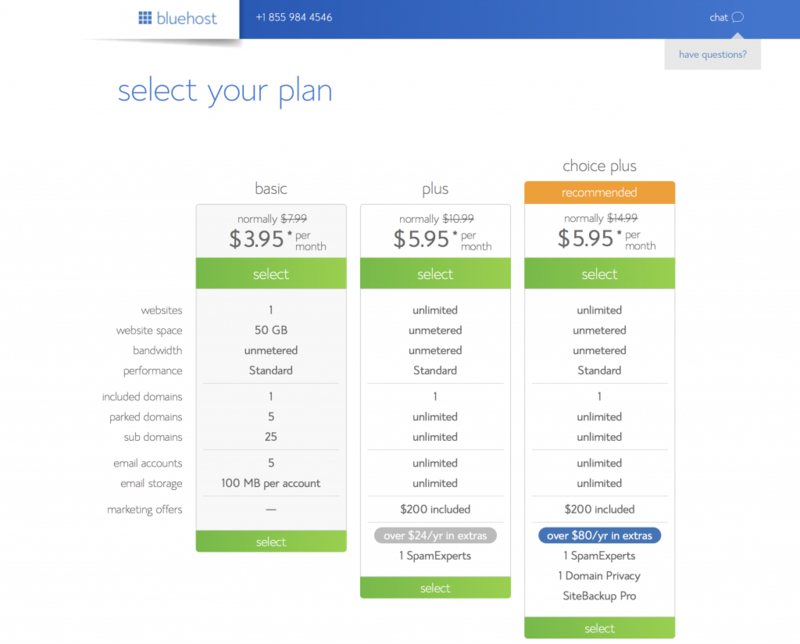 Still not convinced Bluehost is the best way to go? I’ll sweeten the deal a little bit by telling you if you sign up through this link, you’ll get a special rate of only $3.95/month and you’ll get your domain name FREE for a year! 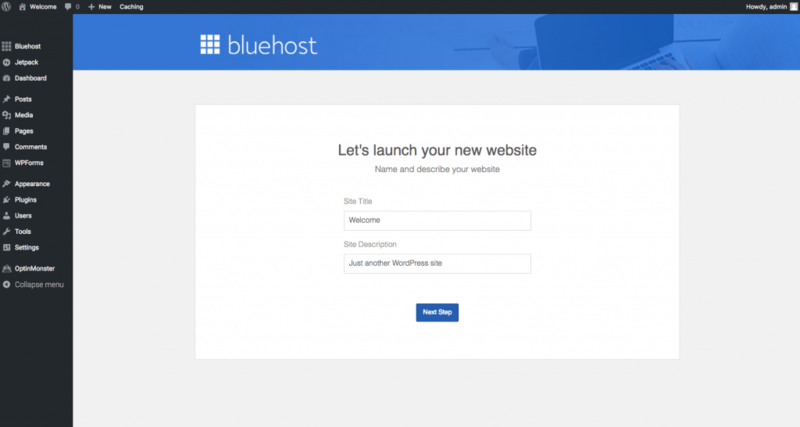 Now that you’ve got the Bluehost page open, click on the Get Started button. There are three plans to choose from. If you’re just getting started, the basic plan will work just fine – you can upgrade any time. That’s what I started with (because it’s the cheapest). And remember: if you sign up through this link, you’ll get a special rate of only $3.95/month and you’ll get your domain name FREE for a year! Click on the green “select” button to continue to the next step. Your domain name is the website address (or URL) that people use to find your site. For example: earlymorningmoney.com is my domain name, and gmail.com is the domain name for Google’s email service. Type your domain name in the “new domain” box and then click next. Important: Your domain name can end in .com or .net or .info or a variety of other options. Make sure you have selected the right way you want your domain name to end before clicking next. Use your name. Using your own name is a great way to build your reputation online. 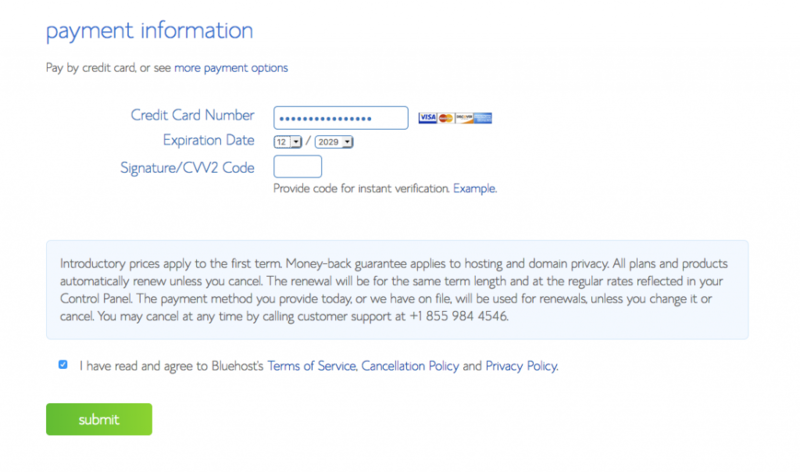 To finish setting up your domain, you need to enter your account information. Make sure to use a current email address. This will be your login name, and where your blog confirmation email will be sent. You get free setup and your domain is free, too. You can pick extras for your website if you want. The only one I really recommend is Domain Privacy Protection. Because website ownership is public information, using Domain Privacy Protection keeps your personal information private. 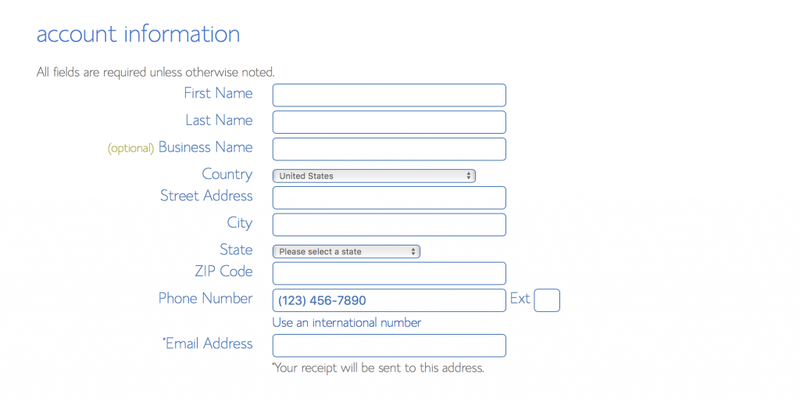 This is especially important if you’re using your home address (and not a business address) to register your website. Fill in your debit or credit card information, check the box to confirm you’ve read the fine print, and click submit. Your domain name is now YOURS! And no one else can have it! Yeah! I’m so excited for you! On the next screen, you’ll be asked to create a password. Now, I need you to take a deep breath. You’ve just bought your own website! And, if you need a break, now is the time. Get a drink of water. Use the restroom. Take the dog out. But don’t be gone long – you have a blog to launch. I promise you this is easy. 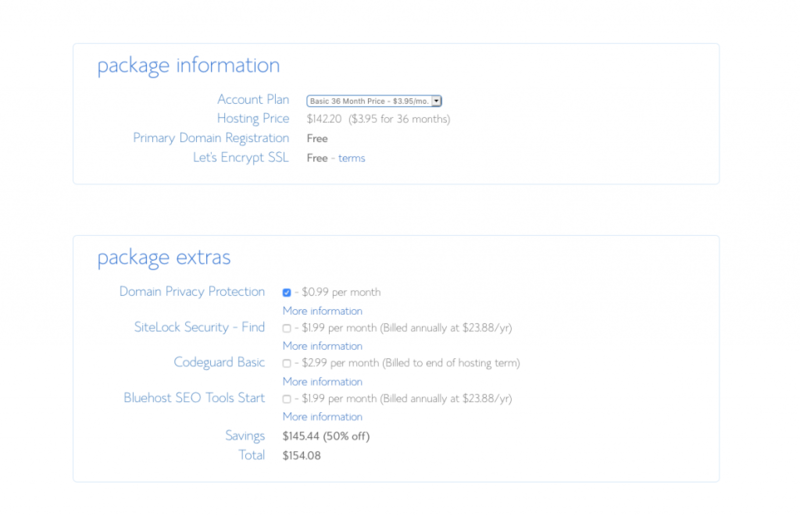 Bluehost makes it so simple! It’s one of the things I love about Bluehost… and this will be quick and painless. Don’t put too much thought into this – you can change it at any time. 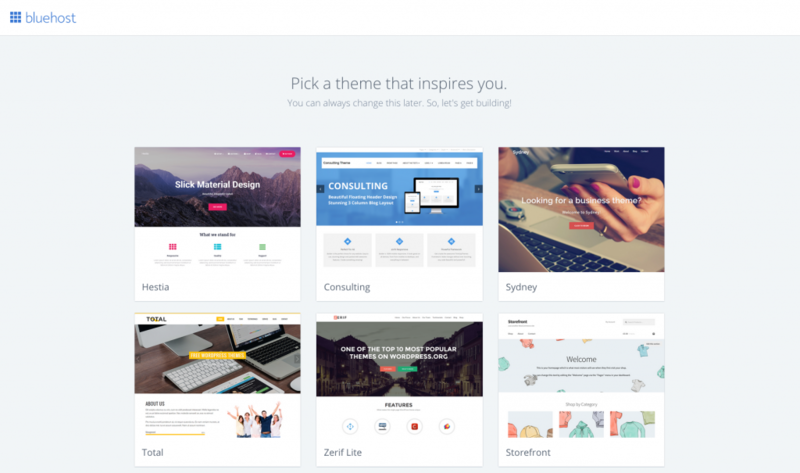 Each theme has different features and you’ll find a favorite. For now, any one of them will do just fine. On the next screen, simply click the “start building” button to go to your WordPress Dashboard. Select either business or personal, then click LAUNCH to take your site live. Entering a few details, such as the site title and description, will personalize it even more. Using the domain name or title are both good options. For instance, entering www.moneywithjessica.com or Money With Jessica are just fine. To give you an idea of what to put here, my site title is Early Morning Money and my description is Wake Up Your Finances. This is an important step but it’s easy enough to change later if you want something different. This is absolutely the most exciting part. And the most fun. You get to customize your website to suit your style and personality. Want it loud and fun? You got it! Prefer a softer, more feminine approach? You can have that, too. There are a lot of options at this point. It’s important to remember that blogging is all about learning as you go – Google is a vast resource for everything WordPress related and you can easily find answers to all your questions by doing a simple search. Now, your adventure begins. Explore theme options, create an “about me” page to introduce yourself to readers, and – most importantly – create your first blog post!